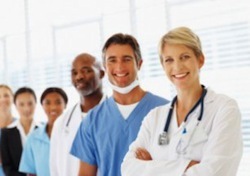 This section of the web site includes video interviews featuring expert surgeons from AAGL. 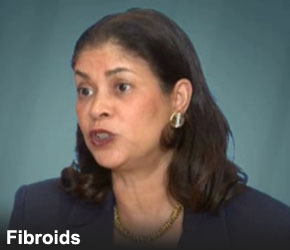 To watch a video, select one of the topics shown below. The videos may be watched on a PC, Mac, or tablet computer that is connected to the Internet via a broadband (cable, DSL, FiOS, Ethernet) connection. 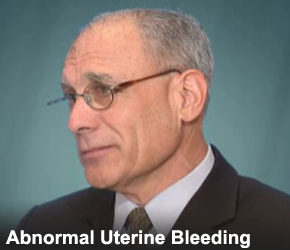 Expert in minimally invasive gynecological surgery Dr. William Parker talks with NWHRC Executive Director Elizabeth Battaglino Cahill, RN about medical options for treating abnormal uterine bleeding using minimally invasive techniques. 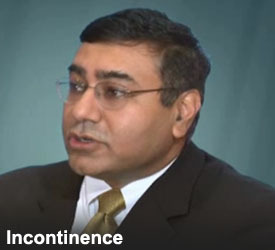 Expert in minimally invasive gynecological surgery Dr. Neeraj Kohli talks with NWHRC Executive Director Elizabeth Battaglino Cahill, RN about medical options for treating incontinence using minimally invasive techniques. 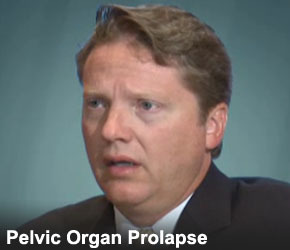 Expert in minimally invasive gynecological surgery Dr. Vincent Lucente talks with NWHRC Executive Director Elizabeth Battaglino Cahill, RN about medical options for treating pelvic organ prolapse using minimally invasive techniques.